A Controversial Rewrite For Rules To Protect Humans In Experiments : Shots - Health News One revision would crack down on studying tissue and blood samples without getting a person's consent. Another change would make it easier to conduct studies in many locations at once. Many of the revisions are long overdue and would significantly improve oversight of scientific research, say researchers, bioethicists and officials who oversee human research studies. But many of the updates are also triggering intense debate and criticism. 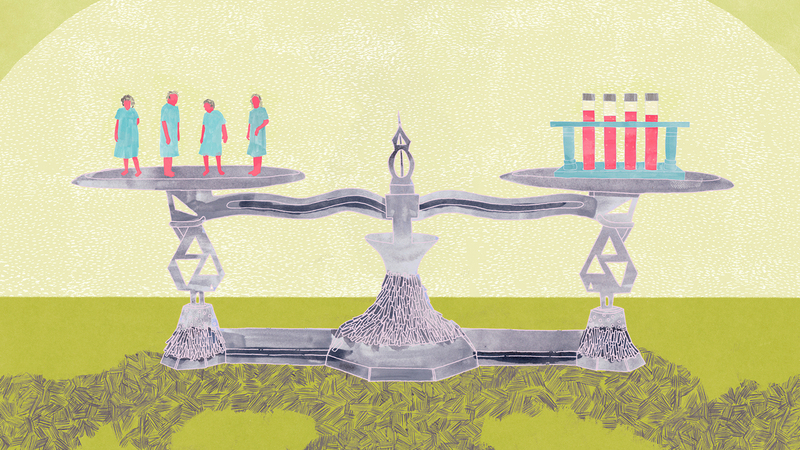 The new rules are too complex and too vaguely written in many places, says Elisa Hurley, executive director of Public Responsibility in Medicine and Research, a nonprofit organization in Boston. As such, she says, they could cause confusion for volunteers and researchers. It's a "flawed attempt" to improve things, Hurley says. After hearing such criticism and receiving numerous requests to give the public more time to study the proposed revisions, the HHS office announced Tuesday that it was extending the public comment period by 30 days — to Jan. 6. One change that some object to would require scientists to obtain explicit consent from patients before using their blood or tissue for research. The requirement aims to prevent a repeat of what happened to Henrietta Lacks. She was an African-American woman who died of cervical cancer in 1951. Cells taken from her cervix were used without her consent to produce a research cell line that has been kept alive in labs around the world ever since. A color-enhanced scanning electron micrograph shows HeLa cells, which are commonly used in biomedical experiments. The research cell line was derived from cervical cancer cells taken from Henrietta Lacks in 1951. Researchers and companies use these cells in a wide range of research, including the development of new drugs. Neither Lacks nor her family consented to this use. Under the new rules, scientists would only be able to do research on biological specimens from people who explicitly agree to it: " 'I'm OK with that. 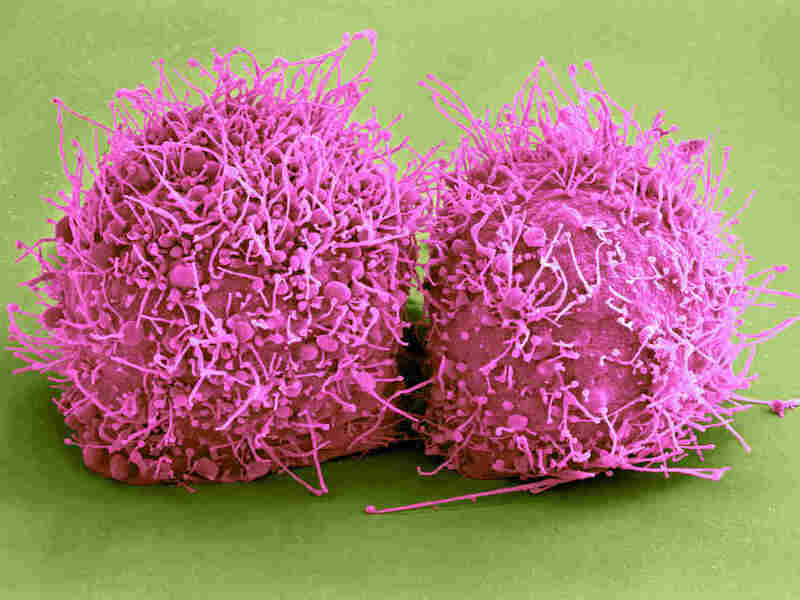 I'm OK with future research studies taking place using the leftover portions of my tumor or blood,' " Menikoff says. But some scientists argue that in most cases the new requirement would create unnecessary red tape that would significantly impede important research. "It's now going to be much more onerous to get this tissue that otherwise would just go in the trash," says Dr. Luis Garza, a Johns Hopkins University dermatologist who uses foreskin from circumcisions for a variety of experiments. "It's creating barriers for working on human tissue, which is what we need to do to solve human disease." Another revision would expand the number of studies that would have to follow the rules. All scientists who get federal funding would be required to adhere to the rules for every experiment they conduct, even those that aren't funded directly by the government. Other changes are designed to make some research easier, such as conducting large studies involving multiple institutions. Right now, independent panels known as institutional review boards, or IRBs, oversee studies in each location where people volunteer. Under the proposed rules, one centralized IRB could run an entire multicenter study. "It is all one study," HHS' Menikoff says. "So basically the same ethical rules apply to all of the subjects in the study." He says the issues raised by any given study are pretty much the same at one study site compared to another site, so that duplicate ethical reviews can be eliminated. He and other researchers say the proposed change would help get new cures to patients more quickly. But some advocates and bioethicists worry that streamlining study reviews in this way would undermine protections for volunteers, especially studies involving many sites, says Dr. Michael Carome, who heads Public Citizen's Health Research Group, a Washington, D.C.-based advocacy group. It's unlikely one IRB can "adequately understand the local context, local ethical issues, the quality of the facilities and the credentials of the practitioners," he says. "That one IRB is unlikely to have sufficient knowledge of all those sites." The proposal would also exempt many studies that don't pose physical risks. Examples include projects that only involve asking subjects questions and answers — things like surveys and in-depth interviews. The idea is to get rid of unnecessary bureaucratic hoops for harmless research, Menikoff says. But this change is raising fears, too. "I think that's a major step backwards that, as far as I'm concerned, takes us back into the dark ages," says Ruth Macklin, a bioethicist at the Albert Einstein College of Medicine in New York. Those kinds of studies "are not physically invasive, but they may be intrusive," Macklin says. "There are forms of harm that are not just physical harm." Menikoff disputes whether the changes would put anyone at risk. But he says the government will consider all the feedback it gets before changing the rules.